iPad and iPhone charged? check. 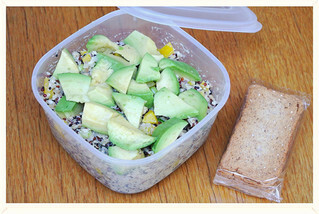 Healthy snacks packed? Oh No!!! And we all know how this is going to end..... buying a handful of sugary cereal bars or a bag of crisps at the newspaper stand, feasting on starchy airplane food during the flight which will make us feel bloated and uncomfortable. Not a great start to a holiday. Hence this little blog post today. The Jake's Boost team (minus our mascot) is going on a little trip across the pond and we want to make sure that we stay happy, healthy, hydrated, nourished and relaxed on our journey. One of the most essential tips before we get to the food bit is: stay hydrated! And we don't mean with alcohol which does quite the opposite. Water on a plane is your best friend. If you drink alcohol, you'll feel intoxicated quicker, wee like a woman who's 9 months pregnant and it can give you terrible headaches. Water keeps you full and lets you arrive refreshed at your destination. If you want something hot, why not take a couple of herbal tea bags with you -the coffee on board won't be able to compete with your organic, fair-trade slow-brew from your local hipster hangout. Still fancy a celebratory drink at the start of your holiday? Go for a 2:1 ratio: 2 cups of water to 1 cup of booze. 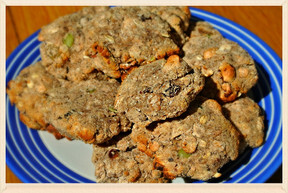 These are chewy and nutty at the same time, full of nutritional goodness and very filling- loaded with protein and fibre. in a saucepan over medium and stir until combined. in a bowl and add the honey/Superboost mix. Stir together until well combined, you can of course use your hands. Line a tray with baking parchment, take 1 1/2 teaspoons of dough and roll in your hands, then flatten onto the baking tray. Put the tray in the oven for about 10 mins or until the corners of the cookies start to turn brown. 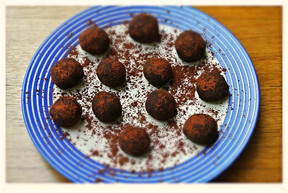 These are full of chocolatey goodness without the sugar or dairy thanks to the richness of the cocoa nibs and cocoa powder. Mix it all together in a bowl and use your hands to shape bite sized truffles (about 12). 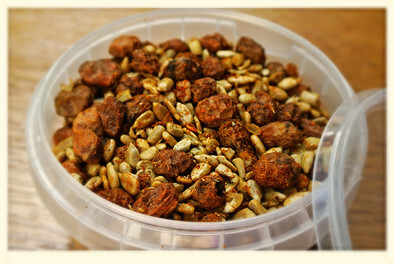 Tiger nuts are our latest pleasure on the superfood list. They are high in calcium, potassium and vitamin E. Roasted with sunflower seeds and tossed in cumin, chilli powder, chilli flakes, paprika and mixed herbs, they make a great savoury snack on-the-go. These veg crisps are courtesy of our good friends over at Nim's (nimsfruitcrisps.com). They are all-natural, unsalted, air-dried and never fried. Matched with a light yoghurt dressing (fat-free plain yoghurt with 1/2 tea spoon of mixed herbs), they'll be your next go-to savoury snack for long journeys. Just look at those colours! 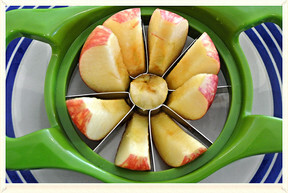 to cut a small to medium sized apple into slices but don't cut all the way through, keep the bottom of the core so you can create vessel that you can then fill with Superboost. 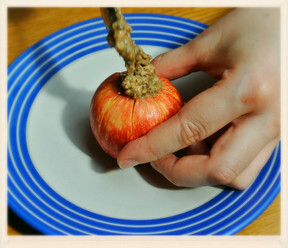 A rubber band will hold the apple together and protect it from going brown. Put in a plastic ziplock bag or container and pop into your bag. When you open this spiral of nutty loveliness, every slice will be covered in delicious nut butter. YUM! Grab a pack of pre-portioned crackers from the cupboard to go with it and this nutritious salad will fight of any cravings for the whole duration of the flight. Surely, we don't need to tell you how to cook quinoa ;) but our dressing is as simple and tasty: 6 tsp of olive oil, 4 tsp of white wine vinegar, 1 garlic clove crushed, 1 tsp of mustard, 1 tsp of Superboost, pepper to taste and a squeeze of lemon juice. Add any veg and slice up the avocado just before you leave and cover it with a lemon bit of lemon juice to stop it from browning- voila! 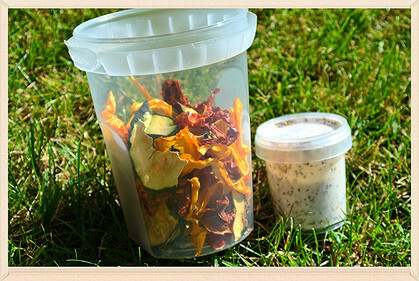 Last but not least: why not make your life easy and take one of our snack pots on a long journey with you? 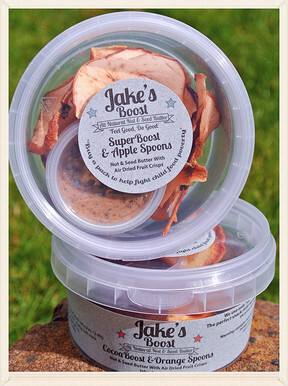 A portion of our scrumptious nut butter with naturally air-dried fruit crisps. See your fellow passengers' faces light up with envy! We hope this will help you on your next journey to stay happy, healthy, nourished, hydrated and relaxed. Happy travels!